Six players on the trail of a half a million in Cash. There's only one question... Who's playing who? July 23rd & 24th! Quentin Tarantino Fest throughout July! 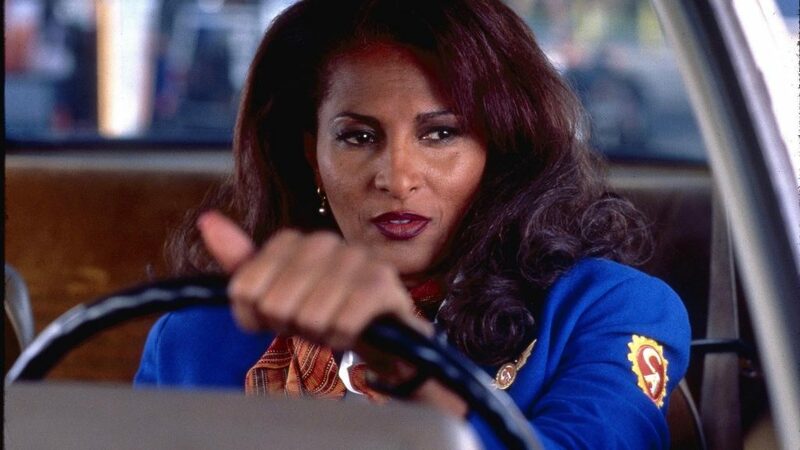 When flight attendant Jackie Brown (Pam Grier) is busted smuggling money for her arms dealer boss, Ordell Robbie (Samuel L. Jackson), agent Ray Nicolette (Michael Keaton) and detective Mark Dargus (Michael Bowen) want her help to bring down Robbie. Facing jail time for her silence or death for her cooperation, Brown decides instead to double-cross both parties and make off with the smuggled money. Meanwhile, she enlists the help of bondsman Max Cherry (Robert Forster), a man who loves her.